What Do I Need to Know About Credit Cards for Accepting Donations? All nonprofits should be able to accept donations by credit card. Donors love the convenience and perks that they get when they pay with a credit card; and the nonprofit benefits from the quick collection of funds. In fact, donors will likely not come back to donate to your organization unless you take credit cards. Many people, especially younger ones, write very few checks any more. Plus, cashless payments of all kinds have become more accepted. Nevertheless, credit card processors impose a dizzying array of fees that are difficult to understand, and that might not be appropriate for a nonprofit. Here are the terms and fees you will usually encounter. Anyone who processes transactions with a credit card is labeled a merchant by the credit card processing companies, so your processing account will be called a Merchant Account. Merchant accounts are financial accounts through which payments are made. 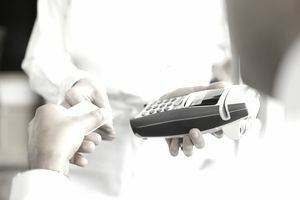 The financial institutions that issue merchant accounts are taking some financial risk if the cardholder disputes a transaction, so applying for a merchant account almost always involves providing the financial information that is necessary for a credit review. There are frequently fees charged for getting established with a merchant account. They may be called Application Fees, Setup Fees, or Gateway Setup Fees, but they all represent the cost to get started with your merchant account. You may also need to pay for the software or equipment required to process your transactions. This fee might be an ongoing monthly fee if you sign up for a web-hosted solution, or if the equipment is leased. Almost all merchant accounts will have some type of monthly fee. It may be called a statement fee, account fee, or reports fee, but it is merely an ongoing cost of having the account available. Some accounts have multiple monthly charges that typically range from $10-30/month. Other accounts may impose a monthly minimum fee instead of/or in addition to the monthly fees. Usually, there are two components to the cost of processing each transaction: a per item fee (usually between $0.20 and $0.50) and a fee that is a percentage of the transaction amount, called a "Discount Rate." The discount rate can vary substantially from one processor to another. It commonly is between 2-4%, based on the type of credit card and the method of processing used. For example, if the discount rate offered is 3%, and you receive a payment of $100 you will be charged $3 for the processing fee. Most of this money goes to the card issuing company such as Visa, MasterCard, etc. (They call this an ‘Interchange’ fee). It is challenging and nearly impossible to compare these fees since most merchant statements do not present the fees very simply. Sometimes the discount rates are broken down into an Interchange rate and an additional charge from the company that facilitates and sends the transactions to the various credit card companies. Furthermore, there are many different rates that can apply to a transaction, depending on the type of card used. This is not just if it is Visa, MasterCard, or Discover, but also if it is a Rewards card, Corporate card, Debit card, etc. Other factors affecting this fee include how the transaction is being processed (swiped, keyed in), and even if it passes specific fraud prevention tests such as "Does the address associated with the transaction match the billing address of the credit card?" Credit card companies say that the different rates reflect the different levels of 'risk' for that company. They may feel, for instance, that there is a higher risk to transactions done without the physical card, thus penalizing phone, mail and Internet transactions. For nonprofits, most transactions are done by phone, by mail, or online, and therefore fall into the category called "card not present" or "mail order telephone order (MOTO)" transactions. MOTO processing rates can vary substantially based on the type of card and your organization’s processing volume, but it will be higher than a physically swiped transaction. Card types and processing methods often affect the fees charged by dictating if the transaction is treated as a "qualifying" or "non-qualifying." "Non-qualifying" transactions are charged a higher or additional percentage. Unfortunately, there are no across-the-industry standards for qualification of transactions. Credit Card Processing Alternatives for Nonprofits: Is One Right for You? There are companies that specialize in credit card processing for nonprofits. They usually also provide an array of services designed specifically to help document and keep track of fundraising efforts and campaigns. The leaders in this field are DonorPerfect and The Raiser's Edge. If your nonprofit will be engaging in a sophisticated fundraising program, you will want to check out these systems. Many nonprofits use online donation processing sites such as Network for Good. There are no set-up charges, and the fee structure is straightforward. There are both advantages and disadvantages to such services, and whether you use them is dependent on your fundraising goals, the size of your nonprofit, and the resources you have. Third party processors typically allow you to brand your nonprofit for donors (sometimes for an additional fee). If you can, be sure to preserve the ability to connect directly with the donor for future support. Many other social networking sites have sprung up across the Internet as well, where supporters can donate, organize friends in support, and discuss your nonprofit. Many large, national organizations have a presence on these sites. Figuring out the best credit card processing solution for your nonprofit is not simple. You will need to research, talk to your nonprofit peers, and check out a number of options before making a decision. Also, keep security in mind. Credit card and especially credit card used online can be rich targets for scammers. Information about credit card terms and fees for this article has been provided by DonorPerfect, which offers additional information about payment processing solutions.